Whether it’s the result of stormy weather, an accident or maintenance work, a power outage is always an inconvenience. Other than sitting patiently in the dark waiting for it your power to come back on, do you know what to do in a power outage? If not, here are five ways to survive the next time you have no power! Rest assured knowing that most power outages are shortlived. In fact, they’re normally over before you even have time to find your flashlights and candles! Do a quick investigation to see what may have caused the black-out. If you notice that your neighbours are also out of power, then check with your power company for an update. Once you find out how long the power may be out for, ensure you have enough supplies on hand to get you through. Power outages are a nuisance all year round – but even more so in the winter when you have to keep warm. Cover your windows with blankets to block any drafts, wear extra layers of clothing and if you’ve got a fireplace, make yourself a fire. When using candles, ensure you use proper candle holders and remain in the same room as the lit candles. Plus, in very cold areas when the outage will be for a while, turn your faucets on to a drip to prevent your pipes from freezing. Prior to a storm hitting, make sure you’re well stocked on food and water. Keep cans of soup (and a non-electric can opener!) handy. If you don’t have a gas stove, try to purchase foods that can be consumed without any cooking needed. Since most food remains frozen for up to 36 hours, don’t open your fridge or freezer unless absolutely necessary. Depending on how long your power will be out for, you will need enough water for drinking, washing dishes, bathing and toilets. Use your bathtub as a holding tank and fill it up with water before the storm hits! Try not to watch the clock while you simply wait for the power to come back on! Instead, have some old-fashioned fun playing board games and cards, reading, listening to music or simply conversing with family and friends. Like most things in life, proper preparation is key to surviving a power outage. Keep your wood burning fireplace and chimney properly maintained, install a non-electric stove or heater and consider purchasing an emergency generator. Protect electronics with a power bar and install carbon monoxide detectors that have a battery-powered back-up. At the very least, stock up on blankets, flashlights and candles! Hopefully in no time at all, your power will be back on! We understand how much you’ve probably been suffering from the recent heat wave through New Zealand! If you’re anything like us, you’ve been trying to stay in air-conditioned buildings, are minimizing outdoor activity and are dressing as comfortably as possible – while watching the skies for a rainfall to eventually break the heatwave! Our country’s hydro lakes are a whole other matter, though. They have no way of escaping the effects of these scorching hot temperatures, which have resulted in plummeting lake levels and rising energy costs. The summer’s warm temperatures are causing a domino of effects regarding the country’s hydro lake levels. For one, the snowy hills in the Mackenzie country have been melted away because of the sun. Plus, there hasn’t been a decent rainfall in the last few weeks. Both Lake Tekapo and Lake Pukaki depend on winter snow storage and westerly rains in the mountains to remain topped up. 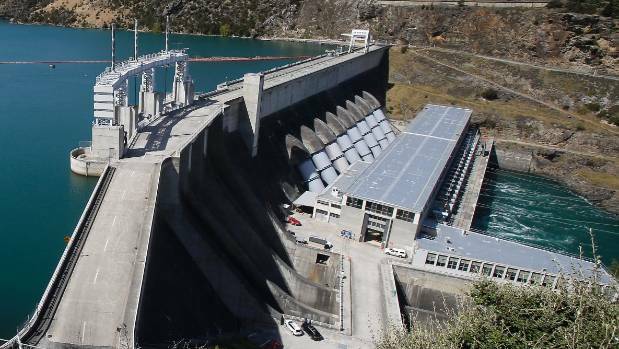 Although power authorities are closely monitoring the South Island’s falling hydro lake levels, they say they aren’t cause for consumers to be worried yet. On average, summer is when NZ experiences a lot of rain in the South Island – and there is still a lot of summer left. When that happens, lake levels will go back up and generators that depend on rain for the coming winter will be ready. With almost 65 percent of New Zealand’s power generation relying on hydro electricity, the energy industry has been implementing some hydro lake level saving measures. Among other energy sources, coal and gas are being used to help conserve the falling lake levels. With energy spot rates at a high, there’s no time better than the present to ensure you’re getting the best deal on your energy rates. And with Switchme’s online energy comparison calculator, there’s really no easier way! Our convenient, user-friendly software helps countless Kiwis secure the best energy deal every day. In only two steps, you can soon be on your way to counting your energy savings! Let us show you how easy it truly can be to start saving on your energy bill! Contact us today for more details. As an international leader in eco-friendliness, it was only a matter of time before New Zealand started an all-electric car sharing service. As of February 15, that day has officially arrived! The only city in New Zealand to offer a full fleet of electric cars in their car sharing service, Christchurch is also one of the few cities in the world. Toronto, Paris, Singapore and San Diego are other cities around the globe looking to reduce emissions and congestion by launching a similar service. Brainstormed, researched and launched by the Christchurch City Council, this new car sharing service is being managed by Yoogo Share. Launched to help the Council reach its goal of becoming carbon neutral by 2030, the fully battery powered electric car sharing service will also deliver improved environmental and health outcomes. In stage one of launching the car share service to the public, Hyundai Ioniq and BMWi3 were made available in in the Christchurch Art Gallery Te Puna o Waiwhetu car park, the West End car park and at Christchurch International Airport. In April, ten or more hubs will be added to the service, which will then be up to 100 battery electric vehicles. This second stage of the program’s launch will be funded through the Energy Efficiency and Conservation Authority’s Low Emission Vehicles contestable fund. Hubs to be added in stage two will be at The Crossing car park, the Ara Institute, Canterbury University, Papanui and Fendalton libraries and the Lyttelton Community Centre. Having an all-electric car sharing service offers numerous benefits for Kiwis. Besides having a lack of tail pipe emissions that will reduce the city’s carbon dioxide emissions and improve air quality, this type of service will reduce traffic congestion and provide commuters with more transportation options. Plus, it will play a huge role in reaching the government’s goal of becoming carbon neutral by 2050. 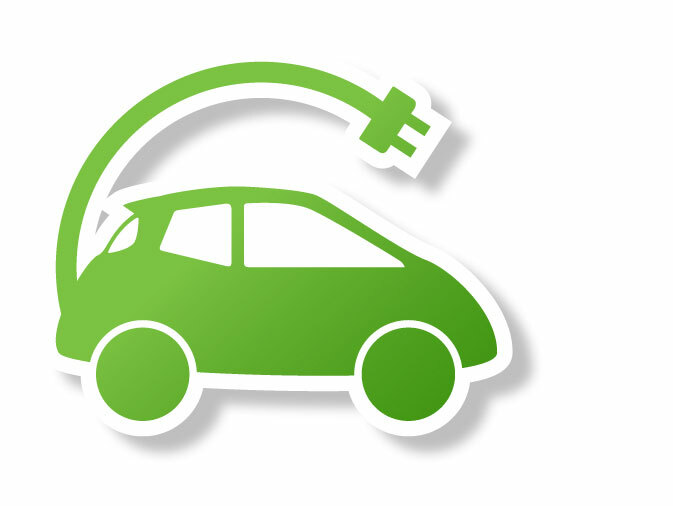 Besides using the new all-electric car sharing service, are you looking for other ways to save on your energy costs? If so, check out Switchme’s free energy comparison calculator! In only a matter of moments, easily compare what you’re currently paying for energy costs to other options. We’ll even help you complete an easy online switch application! Contact us today to receive our free, independent advice about the energy switching process. Hard work and dedication over the past 13 years finally paid off for a father-son farming team with the creation of a machine that uses methane to produce power. Southland farmers John and Quinton Scandrett have worked tirelessly to create a solution for powering their cow shed and for heating water for the farm. In the end, a machine was created that extracts greenhouse gases from effluent, and changes them into carbon dioxide at his Isla Bank property, Glenarlea Farm. Using the farm’s effluent pond which contains wash-out from the milking shed, a black liner traps methane gas, which is then fed through a generator to create electricity. In addition, hot water (at 91degC) is produced which is used for cleaning the farm. The more animal manure produced, the more energy can be created. 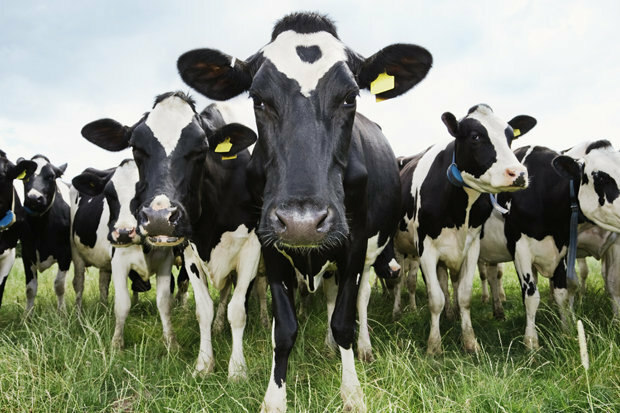 A herd of 400 cows is estimated to produce enough energy to produce hot water only, but 800-850 cows would be able to create a full electricity generating set-up. In addition, greenhouse gas emissions are estimated to be reduced by about 30% using the system. One of the main challenges with creating electricity using this process is to keep effluent ponds well insulated. Cooler temperatures slow the natural bacteria, which produces the methane. The pond at Glenarlea Farm had been built with this in mind, but existing effluent ponds could be retrofitted with the technology. However, since Southland typically has cooler climate, successful use of this technology there means that it can work basically anywhere throughout New Zealand. Other Southland farmers can anticipate the technology to be available for their farms next year. Although installation costs will vary depending on the effluent pond system currently in place, the electricity savings from the recovery will eventually pay off. The Energy Efficiency and Conservation Authority (EECA) and Venture Southland are currently monitoring the project to see what the actual economic payback would be. Lower Your Energy Costs with Switchme! If you’re an electric vehicle owner in South Auckland, it’s easy to keep your vehicle powered with help from the area’s ten charging stations. Vector, an electricity supplier, has rapid chargers at Auckland Airport Shopping Centre, the Z Energy Skyway fuel station on George Bolt Memorial Drive, and on Walters Road, Takanini. They’ve also supplied Manukau, Wiri, M?ngere, and East Tamaki with standard chargers. The chargers near Auckland Airport are proving very popular, with an average use of 15.5 times each day. Vector's EV Charging App is a useful tool for owners of electric cars. Not only does it provide information about charging stations that are currently available for use, but users can also see charger information. The app also features a handy scheduler that lets electric car owners book their vehicle in to use the charger. Vector has technology that’s available so customers can ensure their electric vehicle is charged at a time when demand is low. Customers can plug in their electric vehicle, and program it to be ready to go for whenever it’s needed. The technology knows when the demand is low on the network, so can charge your EV at a suitable time. Another technology that Vector currently has available enables electric vehicle owners to charge up their car, as well as take power back out of it for their home or business. This technology has huge potential – an electric Nissan Leaf can provide ten hours’ worth of power for an average household! In May of 2016, the New Zealand government launched its “Electric Vehicles Programme.” The program’s main goal is to see approximately 64,000 electric vehicles on the road by 2021. To help reach this goal, measures like reducing some of the barriers and investigating ways to further support the uptake of electric vehicles were implemented. New Zealand workers have a low average commute, which can be easily handled by an electric vehicle’s battery. Overnight home charging is convenient because 85% of New Zealand homes have off-street parking. Because 80% of New Zealand has highly renewable energy resources, there is enough supply for every vehicle in the country to be charged with electricity. New Zealand is in a great position to benefit from electric vehicles. Compared to other countries, New Zealand’s high amount of renewable resources means that the country produces 80 percent fewer greenhouse gas emissions. Let Switchme Save YOU $$$! If you’re looking for additional ways to reduce your electricity costs other than getting an EV, Switchme can help! Using our free power comparison calculator, see for yourself if another electricity provider has a cheaper rate. As part of the New Zealand Super Fund’s move to reduce its carbon footprint, more than $950 million in investments has ended, including its holding in a state-owned electricity company. Although NZ Super has investments in numerous other carbon intensive industry companies, this latest move has been welcomed by environmental and investment groups. It has brought NZ Super a long way towards hitting its target of cutting its exposure to carbon reserves by 40 percent and carbon intensity by 20 percent. Last year, the fund’s investment strategy pledged to reduce its investment in fossil fuels and instead, target clean energy to prepare for climate change. The overall fund’s carbon intensity is now just under 20 percent and the exposure to carbon reserves was reduced by 21.5 percent. In total, this latest decision saw the fund exit 279 companies. Of the remaining investments, the fund has investments in at least 29 airlines, 139 companies in the “oil, gas and consumables” sector and almost 200 companies in the “metals and mining” sectors. In addition, it still holds high-carbon stocks periodically due to the discretionary decisions of active managers. According to Matt Whineray, Chief Investment Officer, cutting exposure to companies at risk from climate change was not the same as other categorical exclusions, such as tobacco manufacturers. If companies improve their management of climate risk, they will have the opportunity to become a part of the portfolio again in the future. Because the global energy system is transitioning away from fossil fuels, reducing exposure to carbon emissions and reserves is a low-cost insurance policy. In addition, the recent weather shows how crucial is to that New Zealand has a variety of energy sources. As the long, dry winter of 2017 has already shown New Zealand, Genesis Energy can help provide NZ businesses and households with energy when needed. In 2017, almost half of the company’s energy generation has been from renewable sources, up from 16 percent during 2016. The company is not concerned by NZ Super’s move, as other investors continue to see and support the advantages of this company’s thermal capacity. Let Switchme Save YOU Money! Looking for ways to save on your energy bills this winter? If so, Switchme can help! Contact us today for more details?and to use?our free power comparison calculator.? Compared to the last 85 years of record keeping, the lowest average inflows into the Clutha River were recently seen this past March, April and May. Because of the continued shortage of water into Clutha River's hydro-electric dams, Contact Energy has had to come up with a solution to continue to meet customers’ energy demands. North Island Gas Plants to the Rescue! The solution to the water shortage was to turn to Contact Energy’s North Island thermal plants to work harder to fill the energy void. More energy to the North Island (compared to the South Island) is being supplied by the Cook Strait cable. Although the New Zealand electricity market strives to be as renewable as possible, sometimes it is not possible to meet energy demands using only water and wind as resources. When help is needed, the thermal energy gas stations can help fill the energy gap, which is what is happening currently. The recent weather cold fronts from the south have been bringing snow instead of rain. This, in turn, has been causing dramatic increases in electricity demand. Overall, however, this winter is warmer and dryer than previous years, so more rain would help increase the water levels and help the power supply issue. If hydro lake levels continue to drop, more pressure would be applied to alternative power sources throughout the country, which could lead to environmental impacts. Because hydro-generated energy makes up about 60% of New Zealand’s electricity, the recent low levels in the hydro lakes have meant wholesale prices continue to increase. 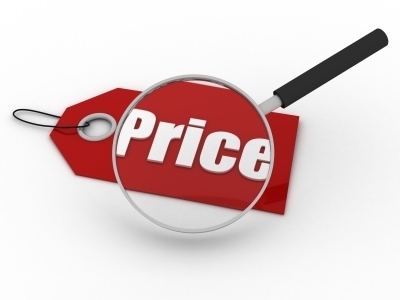 Customers who are on wholesale pricing agreements with retailers are noticing the increase on their energy bills. Although spot tariffs can offer long-term savings, customers who choose this must be willing to weather periods of higher than average prices, such as what we are currently facing. Spot tariff customers should keep an eye out for price spikes and get into the habit of shifting some of their energy use to off-peak times. To eliminate any risk for future price spikes, customers should consider switching to a traditional fixed rate or smooth-pay plan. Has your electricity rate increased sharply, due to the low lake levels? If so, let Switchme help you compare power prices to see if something more reasonable is available! Contact us today for more details and to use our free power price comparison calculator. With the recent drop in hydro lake levels across the South Island, wholesale (spot) electricity customers have noticed electricity rates increasing since May. Those who are on traditional fixed rate electricity tariffs will most likely not notice any increases in the near future; however, for those who are on spot tariffs, increases are predicted to continue throughout the winter. 60 percent of New Zealand’s electricity is made up of hydro-generated energy. However, similar low-level conditions seen in 2003 that warranted a national electricity conservation campaign are still a long way off. Barring major unexpected equipment failures, there is less than a 2% risk of experiencing critically low lake levels. Consumers on spot tariffs are advised to keep an eye on their provider’s prices and watch for price spikes. Flick Electric, one spot tariff provider, has a mobile app that allows users to receive warning notifications when prices increase. To help reduce the electricity rate increase, it’s best to get into the habit of shifting some of your electricity usage to off-peak times. Spot tariffs eliminate the buffer between your bill and the wholesale price of power, which changes every half hour. Although this type of pricing system can offer long-term savings, consumers need to be okay with weathering periods of higher than average prices. Consumers who do not want to risk further price increases should consider switching to a traditional, fixed rate or smooth-pay plan. Has your electricity rate increased sharply, due to the low lake levels? If so, let Switchme help you compare power prices to see if something more reasonable is available! Contact us today for more details and to use our free comparison calculator. Genesis Energy are looking for ways to keep their Huntly coal-burners operating. The closure of these coal units would mark the end of New Zealand's large scale coal-fired generation. The partially privatised electricity generator reported a $35.9 million profit for the six months to December 31, down from $68.2m previously. The fall was largely due to swings in the value of financial contracts, with operating profits up 1.5 per cent to $175.5m. With power demand flat, the last two coal-burning units at the Huntly power station were due to be shut down in 2018. Chief executive Albert Brantley said Genesis was preparing for the closure date, and had not changed its position that use of the units would continue to fall. However, he said the company was open to approaches from other power companies, and was already engaged in discussions with some of them. "We will continue to evaluate commercial proposals that could deliver value to our shareholders." Genesis chairman Dame Jenny Shipley said the company had faced intense retail competition and variable wholesale market conditions. Profits had held up through better than expected generation output, a focus on customer acquisition, and close attention to expenses. Shipley confirmed Brantley would leave the company on April 29, to be succeeded by incoming chief executive Marc England. Genesis announced an interim dividend of 8.2 cents a share, to be paid on April 15.